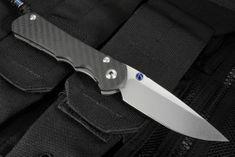 The Large Inkosi is the newest folding knife from Chris Reeve Knives, replacing the Sebenza 25 model. 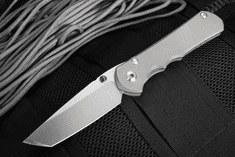 Chris Reeve Large Inkosi knives have a blade that measures 3.6 inches long and is the perfect selection for field work or someone with large hands. 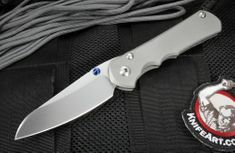 The Large Inkosi has an new blade grind called the wide hollow grind, which is a very shallow hollow grind, a blend between the flat and hollow grinds. The knife has a overall knife length of 8.335" and uses high quality stainless CPM S35-VN steel with a hardness around 59-60 RC. 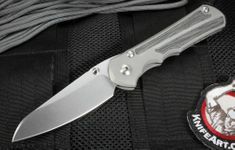 The inkosi folding model uses a one-eighth inch ceramic ball as the interface between the lock bar and the blade, this increases the lock life and durability of the frame lock. The finger contours of the titanium handle on the inkosi are perfect for precise detailed cutting as well as heavy grip cutting. Great . 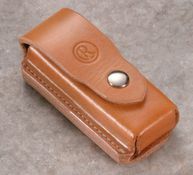 Handle length when closed is 4.8". 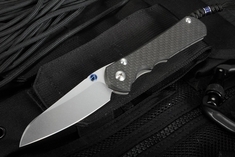 Every CRK inkosi has dual titanium thumb studs for easy right or left hand operation. 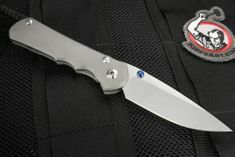 The inkosi has dual ambidextrous thumb studs also make it easy to open - whether you are right or left-handed. Several handle designs are available for you to choose from. 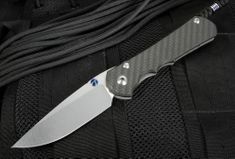 We feature an exclusive black weave carbon fiber handle makes the knife lighter - yet just a strong. 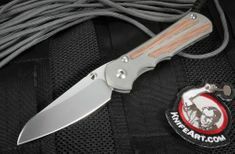 This full size Reeve folding knife also comes with the option of either natural micarta or black canvas micarta. 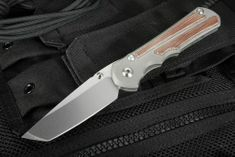 The micarta inlays provide a thicker, enhanced grip than the standard blasted titanium edition.